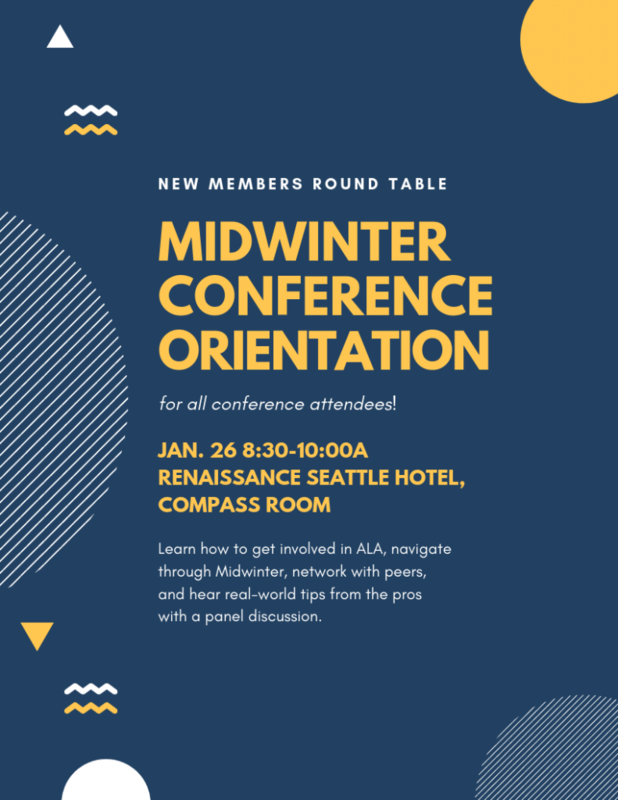 Join the NMRT Orientation this year at ALA Midwinter on Saturday, Jan. 26 from 8:30 to 10 AM in the Compass Room of the Renaissance Seattle Hotel, 515 Madison St, Seattle WA for a fun time including a networking event to meet fellow librarians along with an amazing panel. Our panel guests include Kelly McElroy from the Exhibits Round Table; Nicole LaMoreaux, Vice-President of NNMRT; Kimberly Redd, the NMRT ALA Liaison; Marcellus Turner Executive Director and Chief Librarian of the Seattle Public Library; Courtney Young, University Librarian at Colgate University and former ALA President; and Sari Feldman, Executive Director of Cuyahoga County Public Library and former ALA President. Also, join us for the NMRT Exhibit Hall Tour presented by the NMRT Orientation Committee and the Exhibits Round Table on Sunday, January 27, 9:30AM. Learn some tips and tricks about how to navigate the Exhibit Hall and maximize your time to the fullest. Space is limited so make sure to sign up here.